Plenty of Joy at our Dinner with a Grumpy Old Man! 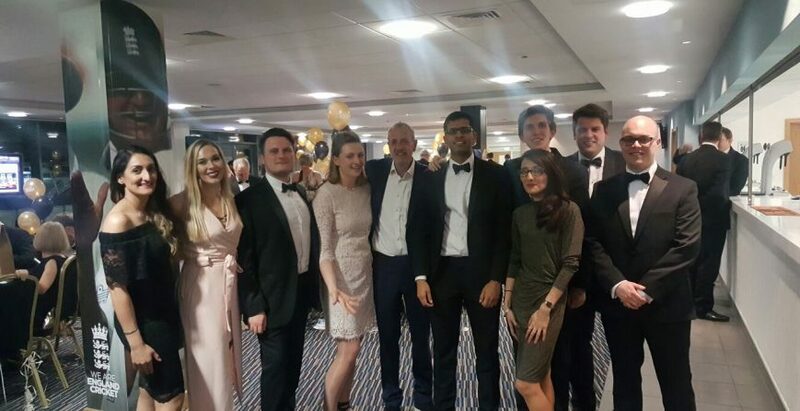 On 6th April we gathered together at Edgbaston Stadium to have ‘Dinner with a Grumpy Old Man’ and to raise funds for our Monitoring for Mums appeal. Master of Ceremonies and Baby Lifeline Patron, Nick Owen, brilliantly hosted an evening of comedy and fundraising sponsored by Title and Covenant Brokers Ltd. The evening began with the Sparkling Drinks Reception sponsored by Gateley PLC and later, comedian and all round grumpy old man, Arthur Smith, provided entertainment with his usual hilarity, mirth and scandal. Our esteemed guests browsed through our event brochure, produced by Baby Lifeline supporters Design Religion and made bids on silent auction lots, supported by Cameron Homes. Auction lots included first class hospitality for a Birmingham City football game, private expert wine tasting, and a Land Rover off-road experience! Crest Nicholson kindly sponsored ‘The Big Bang Luxury Balloon Draw’ where tickets encased in balloons were available to purchase at £10 a ‘pop’ from our brilliant volunteers from Gateley plc. The grand total raised on the night was an amazing £27,000! We would like to say a huge ‘Thank You’ to our extremely generous sponsors and to all who donated raffle prizes and auction lots. Thanks also go to the volunteers who helped the evening to run smoothly and of course to our guests for your continued support. You can find out more about our Monitoring for Mums appeal and make a donation here. Visit our Facebook page to see some photos from the event and if you want to stay up to date with everything Baby Lifeline make sure follow us on Twitter and Instagram. Feature image: (L-R) Sandip, Katie, Oliver, Poppy, Arthur, Rohan, Edmund, Sarbjit, Jamie, and Daniel.